Universal ADB Driver Download for Windows - ADB stands for Android Debug Bridge. ADB comes as part of the standard SDK Android SDK, which you can download at the end of this paper. Basically, the ADB provides terminal-based interface to interact with the file system on your phone. Because Android is based on Linux, the command-line is the only way to get and manipulate the root access. Actually this can be done directly on the Android device itself using a terminal emulator, but surely you will find it hard to execute complex commands on the small screen. ADB could form a bridge between your Android device and your computer. ADB function to execute commands to interact at Android, such as the manipulation of root access, Phone data access, file manipulation ex; copy, paste, delete, etc. The first step is to download the SDK. Use the link provided at the end of this article and download the latest version of the Android SDK. There are versions available for Microsoft Windows, Linux and Mac OS X. For Windows OS, available for both the installer and the zip file. You do not have to use the installer as the installation media. If you choose to use zip files, just extract the zip file to a location on your computer. Sign in to the SDK folder and open SDK Manager. When it is opened for the first time, you will see a window to select packages to be installed. Check the first option is ƒ_ ~ Android Platform SDK-toolsƒ_T. For now uncheck all other packages. You can check the package by clicking the package name and then select the radio button Accept / Reject. Now just click ƒ_ ~ Installƒ_T and wait for it to finish. Once this process is completed, will form ƒ_ folder ~ platform-toolsƒ_T in your SDK folder. That folder will include ADB and all its dependencies. Now that you have installed the ADB but when you want to run the command ADB, ¶ÿ you are required to use the full path of the ADB command (C: \ android-SDK-windows \ platform-tools \ adb) or to a subfolder platform-tools directory of the SDK folder you, and this can be very troublesome. To make ADB is easily accessible from anywhere in the command line, we will add its path to the PATH environment variables. This method applies to Windows users only. If you are a Linux or Mac user, add PATH on your system using the method appropriate to your operating system. If you do not have experience in editing environment variables, you can create a System Restore in advance so that you can restore the system back later if there is a fault. In ƒ_ ~ System Propertiesƒ_T window, click Advanced System Settingsƒ_T ƒ_ ~ button on the tab ƒ_ ~ Advancedƒ_T. If earlier you extract the contents of the SDK into another directory, use the directory to your PATH variable. After you add PATH, your computer will require a reboot. Lastly, you need to install the USB drivers. You may not need to do this step, depending on your Android device. If you are using a device that bundling with the Android operating system such as the Nexus One, this step will be necessary. * The first step is to download the USB drivers. To do this, open the SDK Manager from the SDK folder and click on ƒ_ ~ Available packagesƒ_T left. * Click ƒ_ ~ Install Selectedƒ_T and in the window that appears, click ƒ_ ~ Acceptƒ_T followed by the ƒ_ ~ Installƒ_T. Wait a USB driver downloaded and installed the Android SDK. * Drivers for both 32 bit and 64 bit systems will now be present in the SDK folder under ƒ_ ~ \ x86 usb_driverƒ_T and ƒ_ ~ usb_driver \ x64ƒ_ý each sub-folder. * On an Android device, go to the home screen, press Menu, select Settings, select Applications> Develompment, and turn on USB Debugging. * Now connect your device to a PC via USB. Installing new hardware will begin, and will begin searching for the driver. * Manually select the driver to the appropriate folder for your operating system and let the installation process runs. At this point, it means setting ADB has been completed. 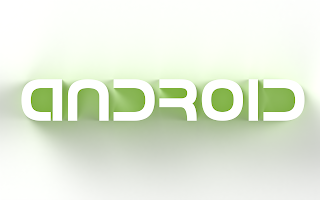 Now you can use ADB to manipulate your Android device in any way. On Windows, the way to do this is by using the command prompt. To ensure adb has been setting correctly, run the command prompt and type the ƒ_ ~ adb devicesƒ_T and press enter. On your connected device will be displayed with the serial number.